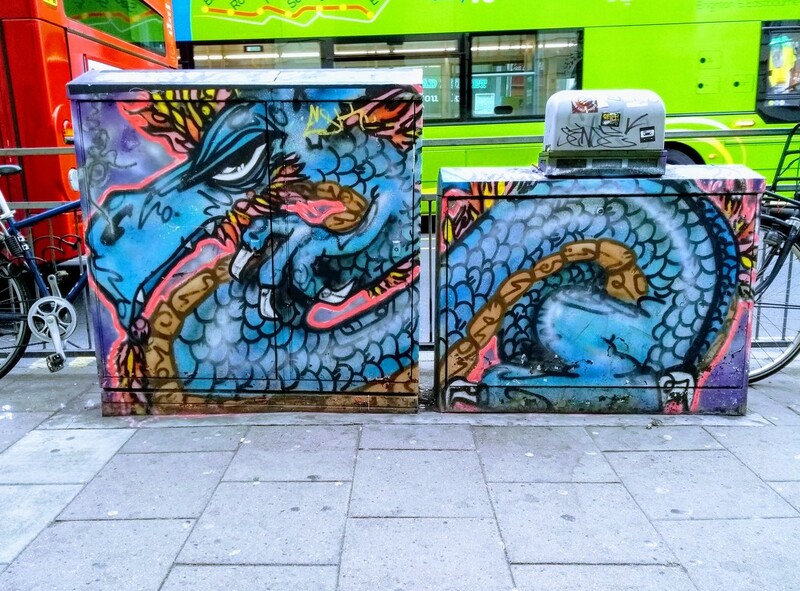 Street artists have been commissioned by the local council to brighten up dozens of telephone junction boxes in the city. This has proven to be an effective deterrent against the usually green boxes being sprayed with unsightly illegal graffiti and tagging. Sinna One is a Brighton based artist and muralist who paints cartoon characters, portraits and colourful murals all over the world. What a lovely way to brighten up a dull junction box. Such a great idea for the junction boxes. Good that the council are investing in this, wonderful idea. Love the vibrant colours with the red and green buses in the background too.